In order to stay competitive in the avalanche of Ecommerce to hit the Internet recently, it is essential to understand the ins and outs of Ecommerce web design. While aesthetics are important, when it comes to Ecommerce, it’s all about making the journey to checkout as quick and easy as possible. Here are a few tips to help you build Ecommerce websites with an expert hand. Imagine shopping at your favorite clothing store. You find the exact pair of shoes you want, so you wait in line for twenty minutes to buy them, only to discover that the store no longer carries them in your size. Don’t do this to potential customers on your Ecommerce site. Allow them to refine their options so they can find exactly what they are looking for. And when it comes to sizing, do not make them wait until check-out to find out that you no longer carry their size. Additionally, don’t cement them into their choices. If they change their minds, you must make it easy for them to remove their selections, rather than force them to click the “back” button–or worse, leave your site. When visitors don’t find what they are looking for on the landing page, then the most common reaction is to do a search for it. If they can’t find the Search bar, they will go elsewhere. Make your Search bar one of the most prominent parts of your site. Most likely, they will remember a list of other items they had been meaning to buy and will end up staying a while using the Search bar. As an Ecommerce businessperson, it is essential to stay on top of your stock. While you don’t want to remove the items (for SEO purposes), it is vital that you are loud and clear when a product is out of stock. Otherwise you may end up with a lot of angry customers on your hands. As with most websites, visitors don’t want to be inundated with a bunch of text–they will scroll until they find pictures. 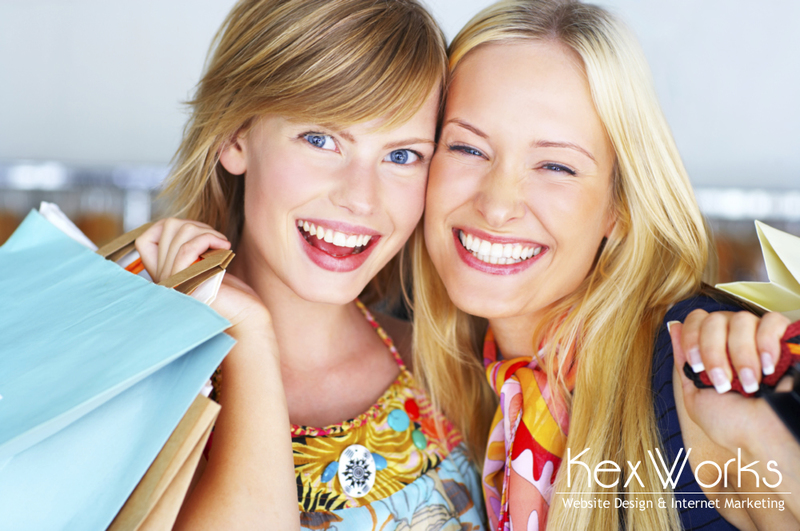 In the case of Ecommerce, photographs are ninety percent of the information people want. Since they can’t see or touch the real item until it has been delivered, it is vital that your photographs are high- quality and clear. When laying out your product page, be sure to plan ahead. What quality will your images be? Will you use a slide show, or tiled thumbnails? Whatever you decide, make sure it is easiest for your visitors to view. This rule is paramount in Ecommerce web design. Obviously the most crucial part of your sale is your visitor’s decision to add your ￼products to their cart. This moves them over from visitor to customer. The clearer, bolder and more attractive your “add to cart” button, the higher the possibility that it will be used.